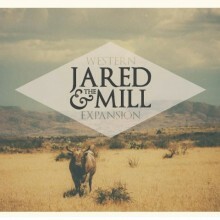 Jared & The Mill has released a music video for “Ides of Fall”, off their newest release Western Expansion. The group will be on tour beginning February 13th starting in their home state of Arizona, check out the full list of dates along with the music video below. Jared & The Mill, who hail from Tempe, Arizona, have shared the stage with The Killers, Flogging Molly, Youngblood Hawke, Cake, Horse Feathers and Joe Pug to name a few. The band has also announced an extensive tour which starts next month in their home state. More dates will be announced shortly, so keep your eyes open! FINK ANNOUNCES FALL NORTH AMERICAN TOUR! Alison May readies haunting ‘Loved/Dark’ LP for new 7/29 release date on Misery Loves Co.